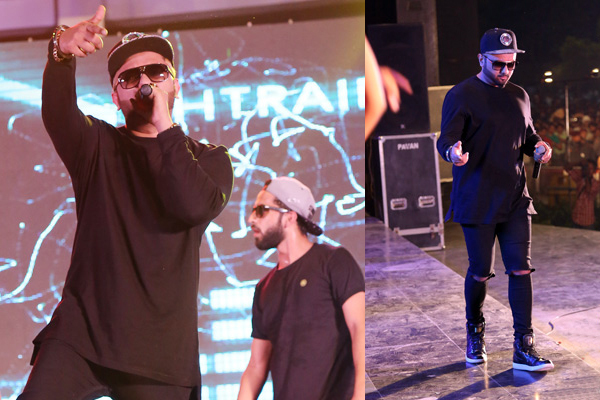 Earlier this year, Yo Yo Honey Singh came out brave and spoke about his illness, Bipolar Disorder. Which was followed by a string of shocking revelations about how he battled everything and struggled to come out of it. Now we learn that, during his traumatic phase, Yo Yo Honey Singh was kept away from Sharp objects. In fact, his family and team were so particular about this thing, that they didn't allow placing a mirror in his room. There was always a fear about Yo Yo Might just hurt himself or anyone else around him due to the illness, so to avert all such casualties, Doctor had strictly advised all to keep Yo Yo Honey Singh away from any kind of Sharp Objects. Looking at his current calendar, India's biggest singing sensation is raring all guns out and looks unstoppable now. Yo Yo Honey Singh is currently busy doing concerts allover. Recently, he was even awarded as the most stylist singer of the year award.